Duck suit of car wash mascot disappears, reappears! (CBS/KOVR) SACRAMENTO - The case of the missing duck suit taken from a Sacramento car wash has been quacked...er, cracked. The owners of the Quick Quack Car Wash businesses say someone took the "Quakals the Duck" costume from a minivan parked in downtown Sacramento on Saturday night, according to CBS affiliate KOVR. "This is a sad day for us," said Jason Johnson. "It is hard to believe someone would steal our beloved duck (mascot). We are assuming that it was just a prank by someone desperate for a Halloween costume and we are asking for the help of our customers and the general public to find Quackals and return him to us." Added Johnson, "We have no desire to press charges if we can just get him back," the station reported. Someone saw the KOVR report that said there'd be a $1,000 reward for any information leading to the return of the duck costume...and someone returned the duck suit. 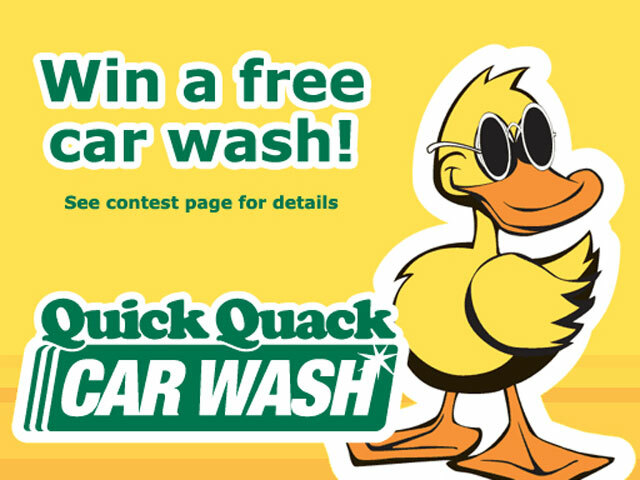 And everything at the Quick Quack car wash chain is just ducky again.